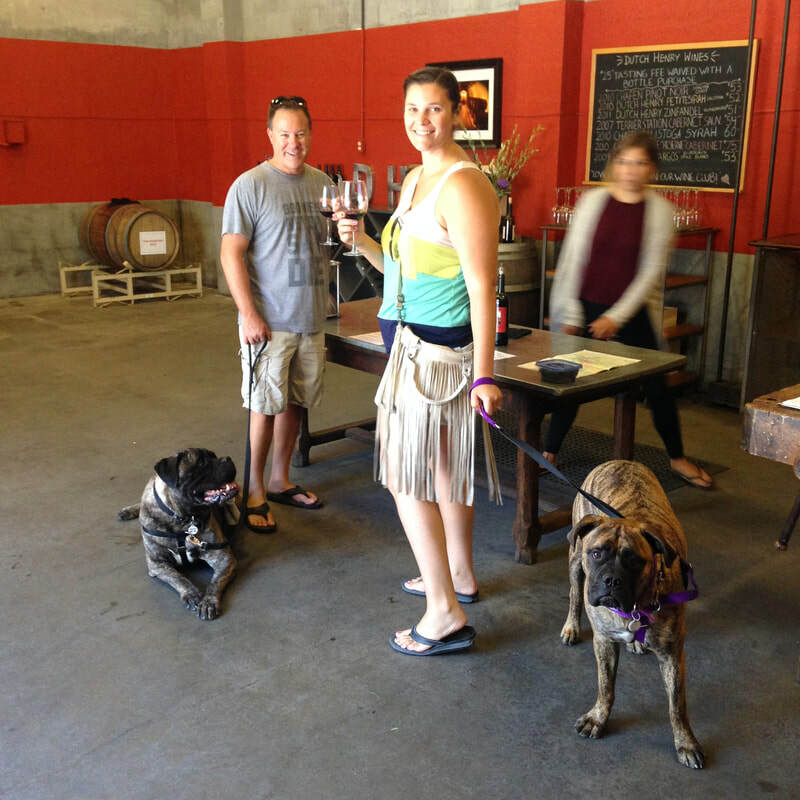 Voted #1 Dog Friendly wine tour in Northern California! ​​Enjoy a private tour of Napa Wine Country with your Peers and Pets. 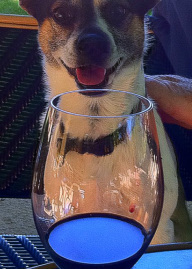 You Sip, while your Dog sits..
in the Beautiful Napa or Sonoma Valleys. WHAT ? 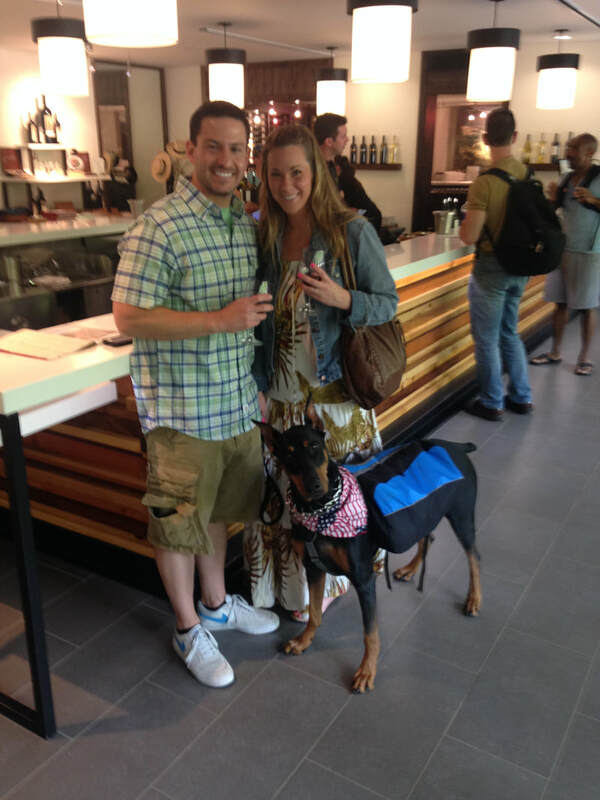 A DOG FRIENDLY WINE TOUR ? Almost everyone that has taken this tour have said these two things, WHAT A GREAT IDEA and WE REALLY ENJOYED THIS TOUR ! This tour can be enjoyable at any time of the year. 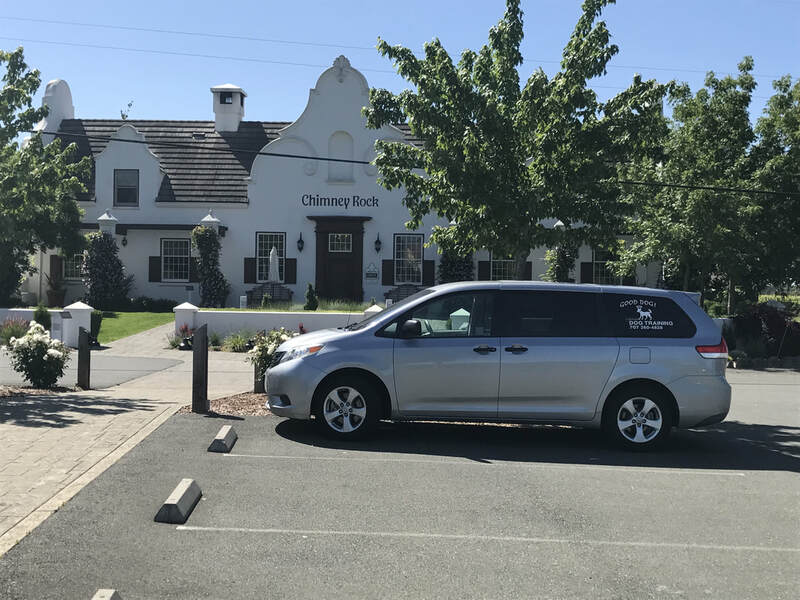 The way the tour works is you and your dog(s) will be picked up at your accommodations in the Napa or Sonoma area at the time you choose. The cost for two people is a fee of $65 per hour from the time you are picked up and dropped off, there is a 4 hour minimum but we can go as long as you like. For additional guests add $10 per hour per person, we will be touring in a Toyota Sienna van that can seat up to 6. This is a PRIVATE tour. I also provide a cooler and water for guests and their dog. There are many dog friendly wineries and that means you can bring your dog into the tasting room as long as the dog is on-leash and well behaved; you also have the option of leaving the dog with me which then allows you to visit a non-dog friendly winery. You can choose which wineries you wish to visit or I can help you with that. Typically you will spend about 1 hour in each tasting room so in 4 hours you may visit 3 maybe 4 wineries. ​Please call if you have more questions. Set up your GOOD DOG! Wine Tour today!! After 35 years working around the world as a professional animal trainer and more recently being involved in the Napa wine industry I have combined both of my passions and started DOG FRIENDLY WINE TOURS. I am happy to share my knowledge of the wonderful wine tasting regions of Napa, Sonoma and surrounding areas while I take care of you and your four legged friends! One of our favorite stops, Dutch Henry. Why not take your dog with you while you taste. Our own dog (Monkey) loves to come along on Up-Valley outings! • Local pick-up and drop-off. •Personally customized agenda of your GOOD DOG! Napa Tour. •Dog Training advice for those four-legged friends who may need to learn a new trick. A few kind reviews. Trip advisor coming soon. Dan is a pleasure to deal with, we took the wine tour last Saturday 5/2/15 and it was the best 6 hours of our 8 day trip across the US. Dan is punctual and very knowledgeable of the area; if you are looking for that small family owned vineyard with AMAZING wine, he is the one to talk to. Five stars to Dan. Needless to say, our Scottish Terrier (Gilmour) was in the best hands with Dan throughout our wine extravaganza.